Our PixMax sublimation and vinyl pressing range makes it easier than ever to personalise a huge range of items. Ever wanted to create your own totally unique products? Who hasn’t! Launch your own personalisation business overnight with our range of super cool heat pressing equipment. You can add your own spin to caps, t-shirt, plates, mugs and a whole lot more using our PixMax sublimation and vinyl presses. Our PixMax range includes everything you’ll need to maintain your new favourite hobby, including sublimation paper, a massive range of different coloured vinyl and super accurate vinyl cutters. 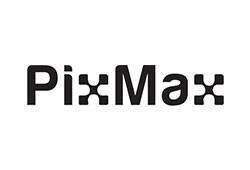 Whether you’re creating your own branded items or a budding entrepreneur, the possibilities are truly endless with our PixMax range.